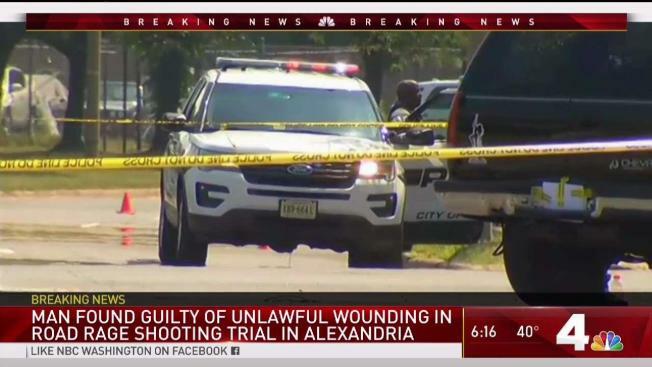 The man who shot a stranger during a racially charged road rage confrontation in Alexandria, Virginia, last summer was convicted Friday of one count of unlawful wounding and sentenced to four years in prison. Ernest Stickell, 59, shot Dejonte Holt twice -- hitting the 33-year-old in the neck and shoulder. Stickell was found not guilty of a second charge: attempted malicious wounding. Holt's boyfriend, Ricardo Jennings, testified earlier this week that Stickell used a racial slur against him and opened fire, missing him but hitting Holt. Stickell said he fired in a moment of panic and acted in self-defense. A man who was shot at by a stranger last summer said the man called him a racial slur and then opened fire. News4's Chris Gordon tells what he said happened and why the shooter is claiming he acted in self-defense. Jennings said Friday that he was glad Stickell got some prison time but that he wished he had been convicted of the second charge as well. Jennings' mother, Earlette Williams, said she was pleased to see him convicted. "I was hoping he got 20. I wanted him to get every year that I thought he deserved, but God saw something else. And I believe four years will help him realize the error of his ways," she said. Stickell opened fire on Jennings and Holt the morning of Wednesday, July 19, 2017. As News4 reported, the road rage clash began on the Beltway before 8 a.m., continued onto the Eisenhower Connector and left Holt with two gunshot wounds. Jennings testified Wednesday that Stickell cut off Holt's SUV twice, the couple got out to confront him, Stickell called Jennings the N-word and then Stickell opened fire. 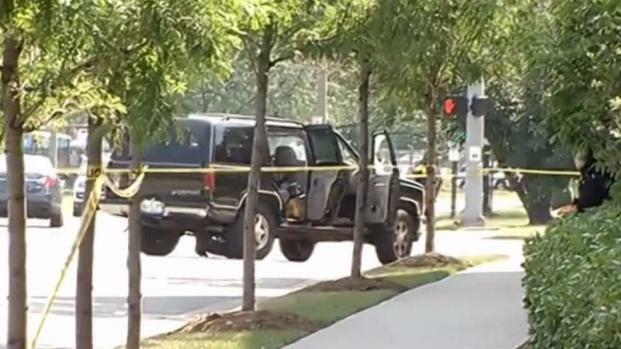 Sources tell News4 a man in a work vehicle shot a woman after a possible instance of road rage. News4's Erika Gonzalez reports live from the scene. Stickell's defense lawyer said Stickell had no idea why the couple confronted him and that he opened fire out of fear. Jennings testified that Holt was giving him a ride to work when they were cut off twice by a white van. First, as they exited the Beltway, the driver went around them and slammed on the brakes. Then, he cut them off again on the Eisenhower Connector, he said. Jennings said Holt then drove the SUV around the van and stopped in front of it. Then, they both got out. "What's your problem?" Jennings said he asked Stickell. He said Stickell cursed him and used the N-word. Jennings, who is black, said he cursed back, calling Stickell, who is white, a "cracker." He testified that Stickell then jumped out of the van with a gun and took aim at Holt's head. He fired multiple times and hit the woman in the neck and shoulder. She fell to the ground, and Jennings said Stickell then fired twice more, trying to hit him. Jennings ran and hid in the bushes, and Stickell drove off. Witnesses chased him and got his license plate number, but he was able to get away. 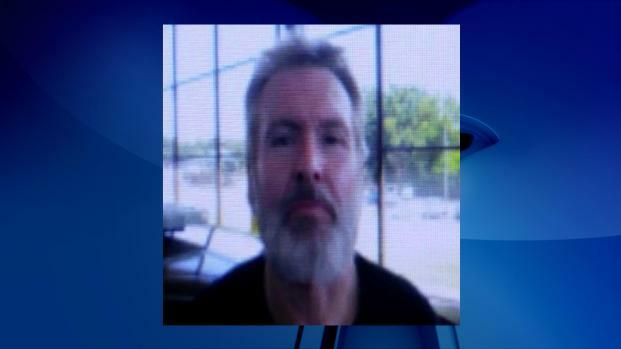 Later in the day, Stickell, of Mechanicsville, Maryland, turned himself in to Maryland State Police in Frederick. Outside the Alexandria courthouse, Stickell himself told News4 on Tuesday that he would plead self-defense. He declined additional comment. 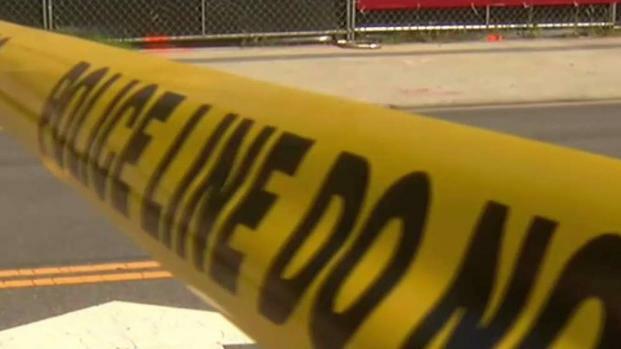 A man turned himself in to police in Maryland hours after a woman was shot during a road rage incident in Alexandria. News4s Julie Carey reports. Holt, of Bladensburg, Maryland, is able to work after she was shot, but she copes with ongoing emotional distress. Jennings' mother told News4 on Tuesday that Stickell never should have opened fire. "You don't bring a gun to a fistfight. It wasn't fair," she said. "It should not have happened. No one should use a gun for the wrong reason." The jury heard from several witnesses who saw the confrontation and shooting. Stickell was the target of a racial harassment suit in 2001, as News4 previously reported. A man Stickell supervised at an auto glass company alleged that Stickell used racial slurs against him, against customers and even against Stickell's own wife, who was African American. "In one particularly egregious episode, Stickell placed a picture of a monkey between the pages of a parts manual ... that Spriggs regularly used," court filings say. "Stickell had captioned the picture with X's and O's, along with the notation 'so you'll never forget who you are.'" 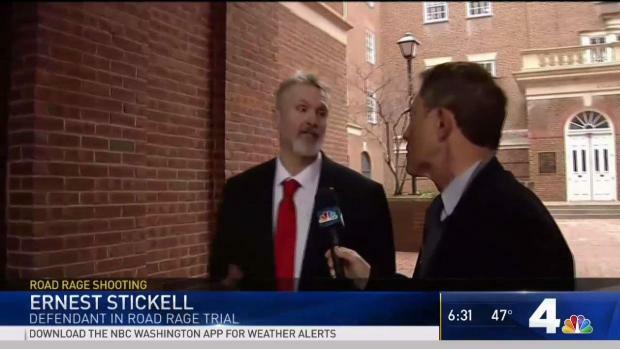 Ernest Stickell, who was arrested after a road rage incident on the Beltway Wednesday, was a familiar face to a lawyer who had faced him over charges of racist acts in the workplace.